The New Zealand Woman's Weekly has been entertaining and informing women and their families since 1932, and every week readers turn to their fabulous food pages for inspiration. Whether you are planning an informal dinner party, organising a child's birthday party or simply trying to find something a little different for the family's evening meal you can be sure you will find the perfect recipe within the pages of the Weekly. Now some of the most popular recipes from the food pages are available at your fingertips in this gorgeous all-year-round cookbook. 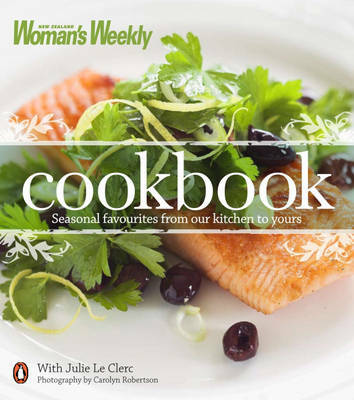 Organised around the seasons, each of the four sections contains delicious recipes by award-winning food writer Julie Le Clerc using fresh ingredients readily available - and affordable - at that time of year. With over eighty mouth-watering recipes to delight and satisfy your family over the next twelve months, this collection is sure to become a firm family favourite. From spring barbeque favourites and tantalising summer berry desserts to hearty autumn soups and comforting winter casseroles, there really is something for everyone!